Our great value 1000mm economy stand, or as we call it our Excel roll up stand. This pull up stand is perfect for short term or one off events, it comes with a bag and box and assembles in seconds. 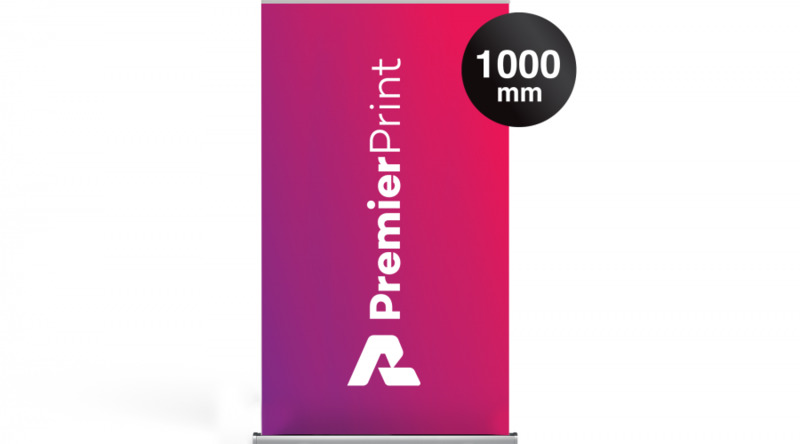 If you require a Roller Banner suitable for long term use you have the option to choose our premium grey back material. This material is a higher quality than our standard option, meaning you can use it many times and it will remain in it's original condition. If you are supplying multiple files for an order, please email us with a breakdown. This needs to include your order number and a description of which files are for which product. Where necessary please specific quantities.